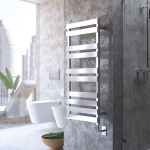 If you have purchased a towel warmer to help make your life a little bit more luxurious in the mornings or after work, you know that it is one of the smartest investment you can make in your bathroom. At the same time, you might be looking for ways to help you keep your towel warmer looking brand new for years and years to come. Here are 15 things you can do to keep your tell them looking brand new from here on out. 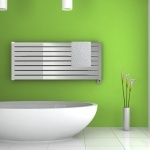 It becomes a lot easier to take care of your towel warmer when you spend a little bit of extra money to get your hands on a good one in the first place. This is a savvy investment, so make sure that you are making the most of it! 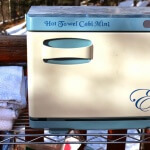 The odds are pretty good that your specific make and model towel warmer is going to have some pretty specific care and maintenance tips and tricks you’ll need to be aware of. 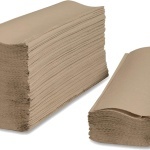 Research these before you purchase and you’ll be good to go! If you are going to go with a hardwired electrical towel warmer or a towel warmer that needs to be plumbed into your water supply, you need to hire professionals to get the job done right the first time around. Even though your new towel warmer may not draw too terribly much more power than you expect, it is always a good idea to upgrade the electrical service in your bathroom to make sure that nothing goes wrong. This is the one room in the house that you don’t want any accidents to happen – water and electricity just don’t mix. 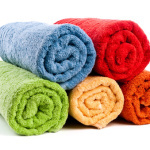 A lot of towel warmers deal with wear and tear simply because they are down on the ground where they can be kicked, dented, and have things dropped on them. Mount your towel warmer to the wall and you won’t have anything to worry about. If you choose to go with a hydronic towel warmer set up you’re going to want to flush the entire system from time to time. 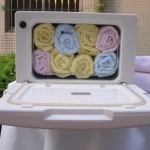 There is going to be a guide included with your towel warmer or found online to help you do this. A towel warmer that plugs into your wall is not something that you’re going to want to leave plugged in all the time. It will continue to consume energy 24/7, and may even present a safety risk if it is left plugged in. All towel warmers come with a recommended weight limit, and you are going to want to make sure that you are staying well within those restrictions. 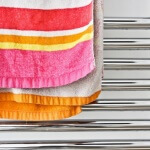 If you overload your towel warmer the results aren’t going to be as good, and you risk damaging the system. A great way to make sure that you aren’t running any risks with plug in towel warmers is to install a third-party timer. These pieces of technology are going to make sure that you are and ever at risk of your towel warmer burning down the house – they will shut off the juice for you at a specific time or after a specific amount of time has passed. This should be pretty much common sense, as you’ll want to keep your electrical appliances as far away from running water as possible. If you want your towel warmer to look better than brand new all the time, you are going to need to make sure that it stays clean and shiny. Regular cleanings will do the trick. 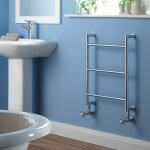 If you really want to keep your towel warmer looking brand new for years and years to come, simply lighten its workload by investing in a second towel warmer. While it can be quite tempting for one to use your towel warmer as a multi tool in the bathroom, you want to make sure that you are only using it as intended to avoid doing any damage to the warmer that shouldn’t have happened in the first place. Loose hanging plugs in the bathroom are always a dangerous situation, especially when they are hooked up to appliances like a towel warmer. Make sure that the plug and the cords are tucked out of the way when not in use. 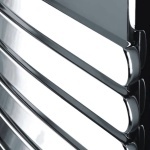 You will be able to dramatically elevate the overall look of your towel warmer considerably when you polish it up. Brass, chrome, and stainless finishes polish perfectly – so give it a shot and see how it comes out! 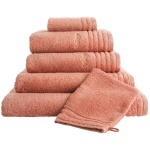 All in all, it is going to be a lot easier to keep your new towel warmer looking brand new and in perfect condition. Just use the tips and tricks we have included for you above and you won’t have anything to worry about! Seriously, it doesn’t get any easier than this! You are going to be able to keep your towel warmer looking great, continue to get incredible results from the towel warmer, and will be able to make sure that its value to your bathroom into your property is never diminished. Combine that with the fact that it is going to make your life a lot easier – and certainly a lot more relaxing – and you have nothing to worry about.